“Marx was the most hated and slandered man of his time. The absolutist or republican governments deported him. “Bourgeois”, conservatives or democrats united against him”. Statement by Engels at the funeral of Marx. In this bicentennial of the birth of Karl Marx, intervening in the middle of the period agitated by the debates and the controversies on emigration and exile, it is not useless to recall that the life of Karl Marx was marked by the forced exile, banishment, imprisonment, misery. The first years of his revolutionary activist life were peppered with persecutions, expulsions, prohibitions, convictions, and detention. 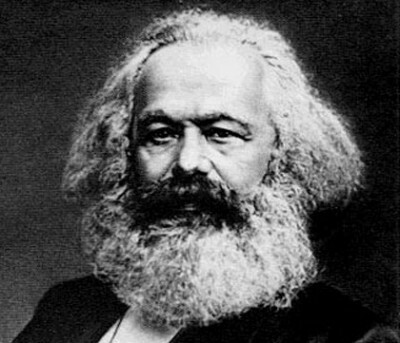 First, faced with persecution in Germany, Karl Marx fled to Paris. Barely installed in the French capital, it is the subject of an order of expulsion on the request of the Prussian power. Then he finds exile in Belgium. Back in Germany, he is banished again immediately. He fled to Paris in 1848. He took part in the days of June. He is arrested and interned in Morbihan. He manages to escape, then crosses the Channel to go into exile permanently to London. So, Marx was pursued, chased all over Europe. He ended up in exile in England, the only country without legislation for crimes of opinion. However, England, if she grants him the right of exile, she refuses him any right of work. “Woe to the independent and incorruptible genius that stands proudly against bourgeois society, who knows how to read in the workings of its inner workings the warning signs of its impending end and who forges the weapons that will give him the coup de grace. In such a genius, the bourgeois society reserves agony and tortures that may seem less barbaric than the easel of antiquity and the pyre of the Middle Ages, but which at bottom are all the more cruel“. 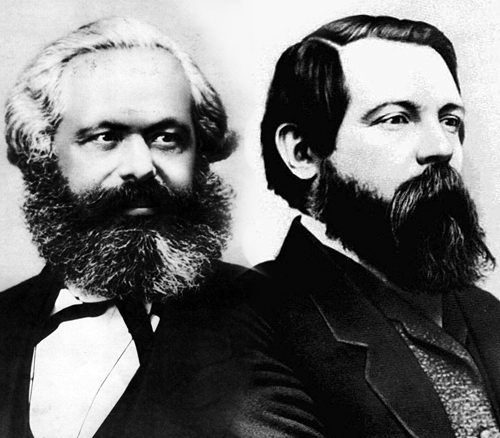 Condemned to live in poverty, Marx, to be able to work on his work and the organization of the labor movement, owed his survival only to the financial support of his devoted friend Engels. Unlike the slanders spread over Marx, he never refused to work to better devote himself to the writing of his writings. In truth, it was by the will of the capitalist elites (bourgeoisie) to starve him that he found himself unemployed. Indeed, by his status as exiled and by his stature as “dangerous” revolutionary, Marx could not get a job at the height of his academic skills (Marx had a doctorate in philosophy and had a recognized competence in journalism). Clearly, the whole European bourgeoisie marched against Marx: out of the question to grant a job or a simple freelance in a newspaper in Marx. Nevertheless, he manages to be “recruited” as a journalist, but under a false identity, by “New York Daily Tribune” with which he collaborated a good ten years from 1851. With its 200,000 subscribers, the “Tribune” was then the most read and richest newspaper in the United States. “I do not think we ever wrote about money while missing it so much“. “My wife is sick, little Jenny is sick, Leni has a kind of nervous fever. I can not and I could not call the doctor for lack of money for drugs. For the past eight days I have been feeding the family with bread and potatoes, but I wonder if I could still get them today” (he wrote to Engels on September 4, 1852). One of his children, Edgar, is dying of malnutrition. In fact, until his death, Marx led a life of anchorite. In London, Marx lived in a miserable two-room apartment, described by his family as a slum where anarchically stacked old furniture. “Marx founded the International, terrible and vast plan, which realization would lead to a dictatorship of the workers and lead the world to “social liquidation”. Marx was Jewish, like his socialist comrade Lassalle. Thus he had to a high degree all the distinctive peculiarities of his race. He loved luxury, ostentation and material well-being, while raging indignantly against capital and the bourgeoisie. Always like Lassalle, husband of a German of princely origin, Marx managed to marry a noble and rich girl, sister of the count of Westphalen, the ultra-conservative Prussian minister of the reaction of 1850. Then the Jew could satisfy his tastes. He surrounded himself with all the luxury which the fortune of his wife allowed him. We had a nice hotel in London; in winter, villas were rented on the Riviera; in the spring, we would enjoy the delicious climate of the Isle of Wight; they settled at Ventnor, the former residence of the Empress of Austria; then in summer we looked for freshness in a chalet in Interlaken or Brunnen. While leading this broad life, Marx continued to make his greatest efforts to revolutionize the workers by exciting them to demand social liquidation. He was careful not to give the example of this liquidation. His generosity for the workers was all platonic. The Jew Marx drew his main ideas from the famous doctrines of Luther. “Do what you please, lie, parry, steal, kill the rich and the princes, just believe you did well. These infamous words, the founder of the International, were appropriate to them; he had arranged them according to the needs of the century. The workers find fairness requires liquidation and everyone is king under the principles of national sovereignty. Even today, there are similar slanderous slanders against Marx. “The leader of this party (the Communists) is Karl Marx; the other closest leaders are Friedrich Engels, who lives in Manchester and Freiligrath and Wolff “Lupus” in London, Heine in Paris, Weydemeyer and Cluss in the United States; Burgers and Daniels are in Cologne (Köln) and Weerth in Hamburg. But the active and creative spirit, the true soul of the party is Marx; So I want to talk to you about his personality … he wears a beard; his eyes are big, fiery and penetrating, he has something sinister, demonic. However, it shows, at first sight, the look of a man of genius and energy. His intellectual superiority exerts an irresistible influence on those around him. His wife, the sister of the Prussian minister of Westphalen, is a cultivated and agreeable woman who, for the sake of her husband, has adapted to a gypsy life and now feels perfectly well in their environment, in this misery. He has two daughters and a boy, all very cute and the same intelligent eyes of the father … As a husband and father Marx, despite his agitated and violent character, is the most tender and gentle of men in the world. Marx lives in one of London’s worst neighborhoods and therefore one of the least expensive. His home consists of two rooms, the one facing the street and the Hall and the other is at the back and serves as a bedroom to sleep. In the whole house there is not a single piece of furniture that is clean and in good condition. Everything is ruined, chipped, worn, covered with a layer of dust the thickness of a finger; everywhere reigns the greatest disorder. In the middle of the room is a relic, a large table,covered with a layer of wax that has never been sanded. Here piled up manuscripts, books and journals of Marx, children’s toys, pieces for the use of women, tea cups with cracked, dirty edges, spoons, knives, forks, candlesticks, inkwells, Dutch porcelain pipes, tobacco ash: all piled up, stacked on this single table.When you enter Marx’s house, coal and tobacco smoke are so dense that at first you have to grop as in a cave; then gradually the view becomes accustomed to the smoke and begins to see something, as in a fog.Everything is dirty and dusty, sitting down is really a dangerous business. Here, a chair that only holds three legs, Beyond the children play on another chair, Cooking by chance together. Of course all the snack is offered to the visitor, but the children hang in the middle of the kitchen waste, and you feel that you risk destroying your trousers by putting them on the said chair. But all this does not cause Marx and his wife the least embarrassment. The host is the friendliest in the world; Pipe, tobacco and all that can be found in the house is offered with the greatest cordiality. An intelligent and pleasant conversation overcomes the domestic deficiencies, making tolerable what in a first contact was just unpleasant. Then, at the end of the day, you find the atmosphere interesting and original. Obviously, during Marx’s lifetime, the bourgeoisie [capitalist elites] did everything possible to prevent him from acting by demonizing him, by persecuting him with their police arsenal. This article was originally published on http://www.les7duquebec.com.